BASF is a chemical company with 110,000 employees worldwide, supplying products to almost all industries and countries. 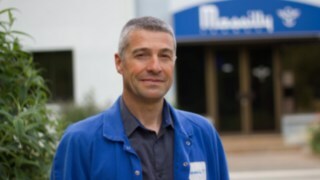 At the Pontecchio Marconi plant in Italy, additives are made for plastics and, in particular, light stabilizers and antioxidants. The plant in the province of Bologna, which works according to high safety guidelines (Seveso III Directive), plays an important role within BASF's logistics and production network. The company is direct supplier to customers and warehouses in more than 50 countries worldwide. The packaging area is the hub of the production. This is where all the materials produced at the Pontecchio plant are assembled. 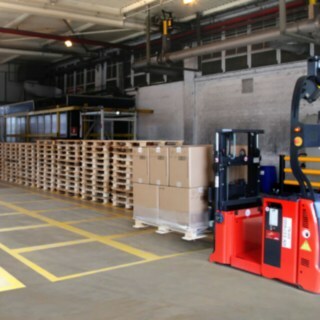 In the past, the transport of the packed pallets for temporary storage to the warehouse was carried out in the traditional way using a forklift truck driven by an employee. We have noticed that the packaging unit was thus inefficiently linked to the temporary storage area. 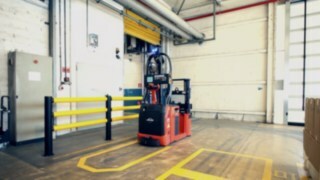 Employees were waiting for the pallets to be prepared through the packaging machine to transport them by forklift truck to the temporary storage area. The idle time from one withdrawal to the next was considerable. 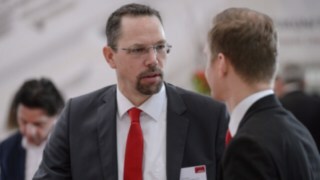 As a result, we had a qualified operator who was "blocked" in a job with very little added value,"says Mario Serranti, Supply Chain and Logistic Manager at BASF. 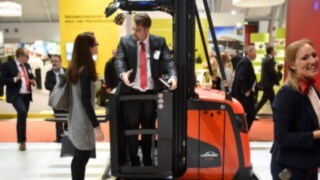 We contacted Linde to find a simple but efficient and tailor-made solution. Linde has created an automated solution for BASF Italia that complies with the strict protocol to ensure maximum safety for every area of activity. A first job security analysis was therefore an integral part of the project. 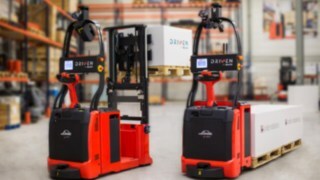 "When the solution developed by Linde took shape, we immediately recognised the potential from the point of view of automation and, above all, from the point of view of safety," says Mario Serranti. Linde's integrated solution with robotic trucks along BASF's supply chain enables automation of activities with low added value and optimizes safety. 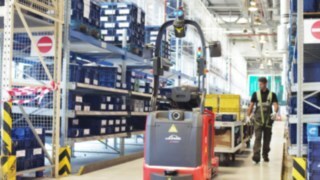 The robotic system works independently in a limited space without interaction with the employee. This innovative solution is supporting BASF on its way to industry 4.0. 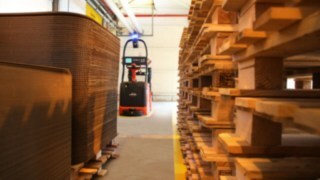 The strength of the solution implemented by Linde lies in its maximum configurability. Standard vehicles are transformed into "intelligent" vehicles by monitoring software loaded directly into the customer's IT infrastructure. 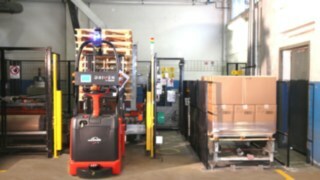 The stacker communicates directly with the packaging system: "The system thus sets the times and asks the vehicle at the right time to remove a finished pallet or to supply the process with an empty pallet," reports Serranti. The installation did not require any changes to the infrastructure, only the installation of a laser on the vehicle. This measures the distance to the most important infrastructures in the warehouse and compares it with the map of the working area loaded in the software. 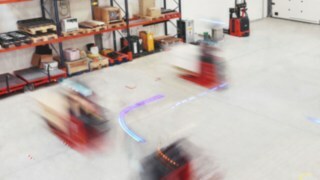 In this way, Linde's automated system can move around in a real space that is virtually reproduced in the stacker's memory. Thanks to the precise analysis in advance, only a few months passed from planning to regular operation. The main focus of this project was on ensuring safety and improving it. The project includes all the safety devices required by the directive for automatic guided machines. 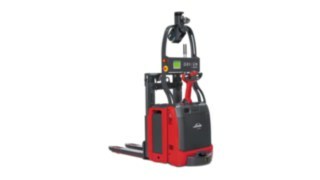 After a risk assessment, Linde Robotics incorporated all the operational requirements into its range of products and services with the customer. 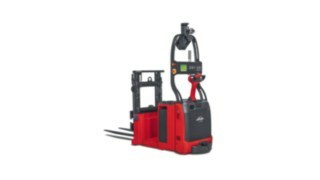 In detail, the stacker is equipped with several lasers that control the environment in all directions. A laser monitors the activity of the forks and the load on them. A laser, which runs parallel to the ground level, detects obstacles in this case the vehicle automatically brakes. In addition, the truck is equipped with a double emergency stop button, an acoustic warning device and the BlueSpot™ . 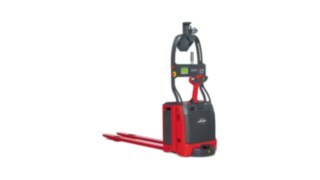 This security package guarantees maximum security for the AGV system. "The integrated project enables us to react immediately to changes. Scalability is a major advantage. In a global market that is constantly and rapidly changing, it is difficult to forecast the development of medium-term logistical and productive flows," explains Mario Serranti. 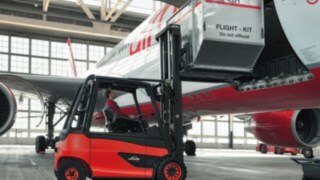 At BASF, the automated forklifts are now working in two daily shifts. The speed can be increased with the increase in order volume or the area of temporary storage can be increased. The operations can be reconfigured at any time. 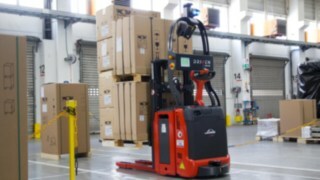 Safety is the most important advantage for BASF: Today, the AGV system works without any risk of malfunctions with the operating personnel and the truck is stopped automatically and without any contact when an operator approaches. The implementation is a perfect example of the optimisation that an Industry 4.0 project can bring to a company: a high degree of innovation in a simple but not banal system that makes it possible to enhance the work of the workforce and ensure safe working conditions. 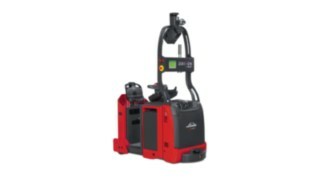 The AGV system has led to an improvement in packaging processes - to the benefit of the entire company. And so the chemistry of optimization was initiated. Flexibility is a crucial value in which to invest.